I agree, I have not bought any Redskins gear in years. I will watch if they are on local tv, but do not go out anymore or out of my way to watch them. I just think this is an easy way that fans can take advantage of something in the media to voice our displeasure and gain more attention to the incompetence of the Redskins front office. If you have not yet read or seen Scott Van Pelt's One Big Thing about the Redskins on 12/31/18, here is the link to a Washington Post article about it https://www.washingtonpost.com/sports/2019/01/01/scott-van-pelt-redskins-is-anyone-redskins-park-listening/?utm_term=.84d3503cbb34 I remember a few years ago when on this site, there was an effort to turn in " fanhood" cards to Redskins Park. I do not know how much good it did to change the Redskins organization for the better or not. Either way it is debatable. Still, it was something that the fans did that did that voiced their displeasure, and it was an easy thing to do. If you as a Redskins fan want to make your voice heard or at least try to. I propose the following. Tweet this article at least once a day to the Redskins, national media, and DC media. Do this until the Super Bowl is over. In addition to tweeting the article you could post a message of your own. You could even just write that you are a Redskins fan and you agree with the article and mention your indifference or your Redskins fan story. Maybe those in charge at Redskins Park will listen and act for the betterment of the Redskins organization, maybe not. At least this is something we can do as fans to voice our displeasure at the state of the franchise. HTTR Forever! Text of the article will be pasted below. Scott Van Pelt on the Redskins: ‘Is anyone at Redskins Park listening? The Redskins spent the final few days of 2018 soaking in an acrid stew of criticism: From fans, from sports radio hosts, from the New York Times, from The Washington Post, and from just about anyone who spent any time thinking about the Redskins in the final few days of 2018. The onslaught may have been unexpected — only two months ago, the Redskins were in first place and favored to win the NFC East, and the franchise seemed to have made at least a small step or two in the right direction. That’s all been forgotten now. And with just minutes to go before 2019, the team took one final broadside, which may have been among the most powerful of the week, if anyone was listening. Because it came from ESPN’s Scott Van Pelt, a longtime Washingtonian who speaks for D.C. fans as well as just about anyone, and with a national pulpit. He did not pull his punches. “Erosion can happen slowly, be difficult to decipher,” he said late Monday night. “But if Sunday wasn’t a wake-up call to Dan Snyder, then they are guilty of organizational negligence. The stadium, which was in the bottom third in attendance this season, was completely overrun by Philadelphia Eagles fans. A division rival trying to make the playoffs, and they had a home game — in your stadium. Folks who remember the ’70s and ’80s and ’90s — hell, people who remember 10 years ago — just imagine the thought of the Eagles fans taking over RFK or even FedEx Field. It’s unthinkable. “But if they didn’t take it over, the stadium would have been empty,” Van Pelt went on. “I don’t know a single person from back home who would have gone Sunday if you paid them to go. Actually, you know what? That’s not true. My boy Sacco and his kids went. They’re Eagles fans. The stadium experience is miserable, insufferable drunks, the lousy product for decades. And what’s equally hard for me to fathom: Somehow, ownership is blindsided by the fact that fans are done.” [Jerry Brewer: The Redskins keep telling us they're close. To what?] Van Pelt then told of running into some Redskins executives last winter at the Super Bowl in Minneapolis. He was, he told his national audience, “blown away by their arrogance." “They still carry themselves like their brand is royalty,” Van Pelt said. “You’re like Sears: something that once was. In what make-believe space do you exist where you convince yourself of some alternate reality?" Van Pelt then recommended The Post’s Sunday A1 story by Liz Clarke, Les Carpenter and Mark Maske, a deep look at the problems facing the franchise this offseason. Van Pelt focused on a fan named Stephen Collins, who was quoted in the story. Collins is 55, a Redskins fan from birth, whose grandparents purchased three season tickets — two for them, one for Stephen’s father — after then-D.C. Stadium opened in the early 1960s. After his grandparents moved to Florida, Stephen and his sister joined their father at home games. After his father retired and moved to Florida, Stephen began taking his young daughters. As with so many other local families, those silly Redskins tickets tied generations of his family together. Stephen moved to Florida himself in 2003, but he kept the tickets “because you just did not give up valuable Redskins season tickets.” So he would fly home for a few games each fall and sell the rest to friends. But he hated the experience at FedEx Field, and after his friends stopped wanting the tickets either, he gave up the seats about a decade ago, a bit shy of his family’s half-century anniversary. He also grew up a Caps fan — his dad had a second job at the Cap Centre — and he’s gone to see the hockey team practice in South Florida, gotten a photo with Alex Ovechkin, celebrated “a joyous spring and summer” with that team. The Caps still link him to his childhood, and his hometown. And the Redskins? [A once-proud franchise, the Redskins are showing signs of foundational cracks] “My emotions during the Snyder era have run from anger to hope and back to anger. Then disbelief. The crazy part now is that I feel indifference,” Collins wrote, in an email quoted by Van Pelt. “Indifference to the team that was a huge part of my life growing up. I was as passionate as they come. And maybe that’s what is needed. While the Redskins are doing big things, whether terrific or stupid but mostly stupid, they are in the news and in the conversation. If people stop caring, that may be the biggest shake up of all. Maybe create some real change. Anger isn’t cutting it because the organization probably believes that no matter how mad they make us today, we will love them tomorrow. Indifference can be powerful and much harder to overcome. I’m there. I’m not hopeful. I’m not mad. It’s easier to stop caring and move on.” Van Pelt showed some of that message on the screen, and then went on. “I know so many fans who have moved on, so many who share wonderful memories of what the Redskins were, who have become numb to what we no longer feel at all,” he said. “Is anyone at Redskins Park listening? Does anyone there even care? Or are you as indifferent as the people who used to fill your stadium as if it were their civic duty, who have been replaced by the fans of the road team who took over the joint — a team who’s going to the playoffs, the team that won the Super Bowl last year. “Remember what that was like?” he concluded, with a shake of his head. “Yeah. Me either.” This was just moments before midnight, moments before the new year, but his message found an audience of Redskins fans who shared his pain. Whatever the name ends up being, they will always be the Redskins or Skins to me. I care about the team whatever the name may be. I know the name is a big deal to some people and I respect that. Hopefully, the passion around this issue will actually lead to some good progress on tough issues that Native Americans face in their lives. Probably not, because people are involved and people are fickle and only want to get involved in something easy like a name change instead of the more impactful issues. Still, I can hope. Just my two cents. 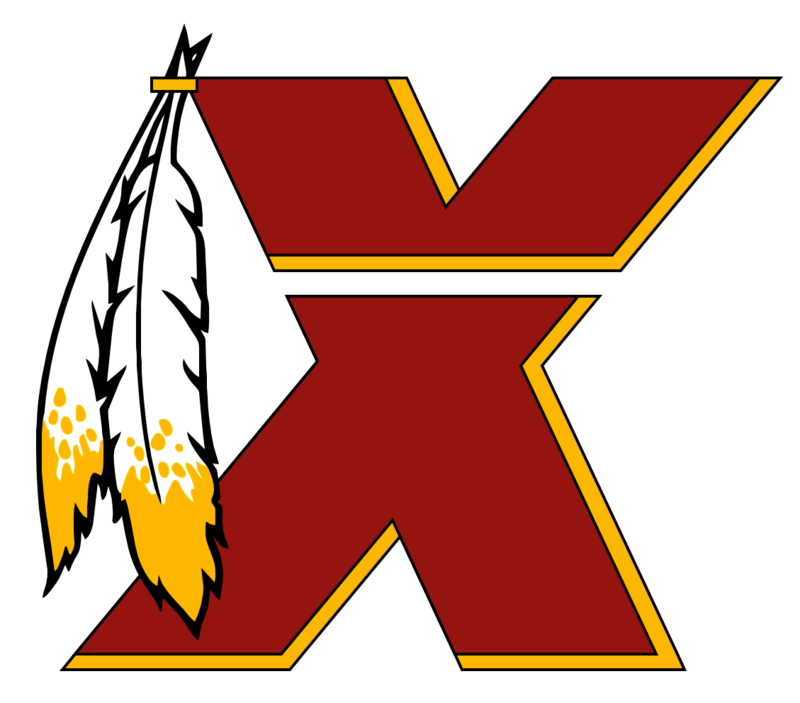 IF the name changes, the team will always be the Redskins to me and I will likely cheer for the Redskins still. If anyone gets offended by it, I won't cheer in their face but I won't let them control what I say, when my intent is not to offends or disparage anyone. I hope the name does not change but I think the name eventually will hurt the team in the long run. Some Skins corporate sponsor will get the bright idea to back out because of the name. They might lose support amongst fans of the team but they will get much better PR by standing up to the team with the bad name. Then the landslide happens. I also think it is just sad that some people will get more passionate into changing the name then addressing real problems in America or for that matter real legit issues that Native Americans. I do applaud Snyder for starting up the Original Americans Foundation to help bring awareness to Native American issues and to do something about it. Do I know his motivation, no, I don't know the man's heart. But I do know that this is a positive action. I love the history and am excited about the future of our team, the Washington Redskins. Imho, the name does not taint any of that history but if it starts to hurt the future of the team and its ability to be the best football team possible. Then something needs to be done. Also, just throwing two questions out there: 1. Do you think there is going to be any protest groups against the Redskins name at training camp this season? I was not aware of any last season. 2. Do you think the patent office ruling ( I know there are appeals) will cause prices on Skins gear and rise or there be a run on Skins gear! HTTR regardless of the name! 2. Well said, Bang. I agree with the same line of thinking. If I understand correctly, since Snyder owns the team and it is a private enterprise, basically he can name the team whatever he wants. He could call the team the Snyderattos, the Six Flags or Johnny Rockettes if he wanted to. Update on ESPN, http://espn.go.com/nfl/story/_/id/9235381/poll-majority-approve-washington-redskins-name vast majority of Americans see no problem with the name Redskins. Down ten percent though since last poll in 1992...right before the Skins won Super Bowl XXVI. A lot of this is coming up because the Skins are a good team with the potential to be great in the coming years and plus RG3 is such a well known persona nationally, not just in sports. Lets just get rid of the noble Native American image logo and keep the name and go back to the R logo. Then maybe the Political Correctness Avengers will have not be able to complain. Oh, wait they would find something to still complain about. Also, my great great grandfather was an actualy cowboy and and he would be offended by the cowboys team name. My other great great grandad was a gold rush miner in California and he arrived in 1850 and he would want San Francisco to change their name to the San Francisco 50's. I just went on ESPN message boards to try to throw out some knowledge about the intent and purpose of the name Redskins to honor Native Americans. Pointless. I have never been on their boards before, but just a waste of time. People are just throwing out whatever name combination in regards to politicians and just stupid stuff. I agree about the thread. The media and the political correctness avengers will just not let this go. I hope Snyder does not give in. Plus, shouldn't the fact that the Redskins are the name of a private organization, not public have something to do with Snyder being able to keep the name basically whatever he wants? Imho, if Redskins is a negative and racist word, then so is the name of the Chiefs. I have never heard Redskin used as a racist term, but I have heard Chief used as one. It all depends on usage and intent. You can throw " sugar time fun clouds" into a phrase and attempt a racist insult. :2cents: ---------- Post added April-5th-2013 at 04:59 PM ---------- Thumbs up. Pillsbury Doughboy: Run Pillsbury....wait...what about me...that's my turf!" I did like how Daryl and one of the Governors guys were talking after killing walkers and they were talking about how they would be fighting again soon. Kind of like soldiers in battle hanging out with each other while the leaders are talking about a cease fire that will not happen. I think Campbell and the team in general has been playing much better. I would like to see Campbell brought back next season if nothing else but for depth purposes. The next three games will spell Campbell's future with the Skins next season. Two games against division rivals battling for playoff position and another against a playoff bound Chargers team. If he plays at the level he has been playing recently or better he must be brought back. Portis should be brought back for one more year, let him get healthy, let the line get to rebuilding ( hopefully) and see what he has left. I love these quotes. Too bad not many of them are from players from this decade. Most of them probably grew up watching and cheering on the Cowboys as kids in the 90's. :doh: By the way ****Dallas. GO SKINS!!!! You should be......YOU SHOULD BE!!!! ... a la Yoda. Dah-Dee , that Napoleon Eli pic is the best one up here. HAHA!! Awesome! !